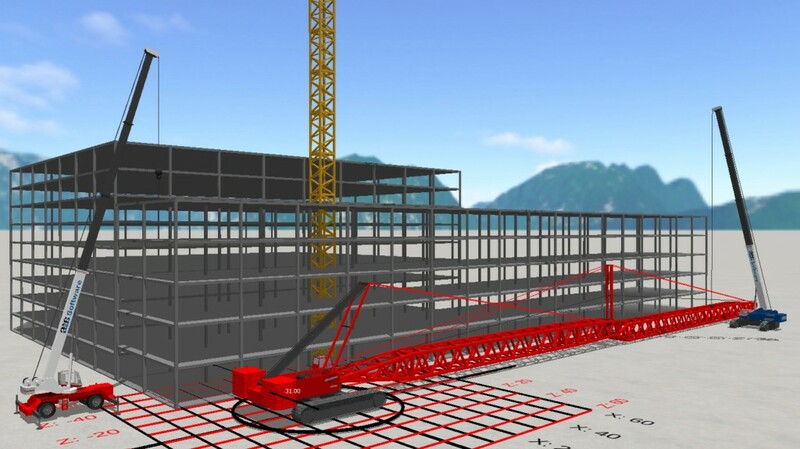 New features expand the options for users as they plan which type of crane pads or mats are best for the ground conditions. Ground bearing calculations can now be made for steel mats with an option for layering steel mats over timber for better distribution of outrigger loads. "We have utilized WebGL technologies to enable the display of 3D content in Chrome, Firefox, and Microsoft Edge web browsers to improve the interface for customers no matter their preferred browser," said Tawnia Weiss, President of A1A Software. "This flexibility is important because 3D Lift Plan is a cloud-based program, eliminating the need to download and update software to individual computers," she said. When using one of these browsers, users simply select the WebGL version. New features expand the options for users as they plan which type of crane pads or mats are best for the ground conditions. Ground bearing calculations can now be made for steel mats with an option for layering steel mats over timber for better distribution of outrigger loads. This is in addition to the previous ability to select wood mats or DICA's SafetyTech or FiberMax engineered outrigger pads or crane pads. Likewise, printouts of the crane mats in your lift plan now display corresponding images of steel mats instead of wood when steel mats are selected as part of the plan. "Our programmers are continuously working to improve the features of 3D Lift Plan based on the feedback we receive from customers," said Weiss.